Following the recent political development within the two popular party in Nigeria, The All Prohressives Congress (APC) and Peoples Democratic Party (PDP), Nobel laureate, Prof. Wole Soyinka has vowed not to vote for neither presidential candidates of the APC, Muhammadu Buhar nor PDP's, Atiku Abubakar in next month’s presidential election. The renowned professor made this known at an event organised by Citizen Forum, held at the Freedom Park on Lagos Island, Lagos, Southwest Nigeria. Soyinka stressed his disapproval for the two major presidential candidates giving a number of reasons. The Nobel laureate said it was time for the nation to move into a new direction different from that of the PDP or APC. “For the avoidance of doubt, let me make my position quite clear because I don’t want any ambiguity; I Wole Soyinka will not be voting for either the two so called contesting parties [PDP or APC]. 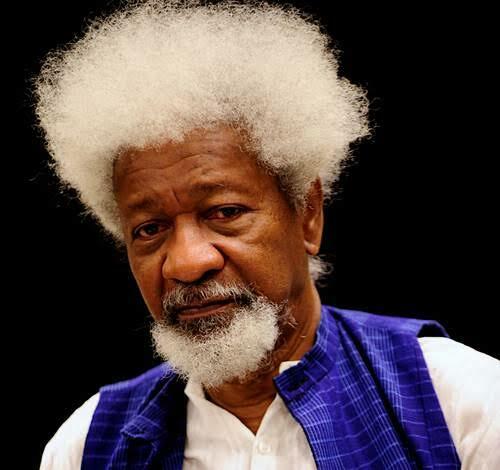 I find both of them worthy of absolute rejection,” Soyinka said. “I don’t believe in what is called negative vote which means, for me, throwing your vote in a wastebasket, I believe instead in a creative vote, not a protest vote, not a negative vote but a creative vote. And a creative vote means that the will to at least sow a seed through your vote that will germinate eventually. He stated that a coalition was about to be born to produce a consensus candidate to challenge the APC and PDP. Soyinka said he did not believe in negative votes or protest votes but creative voting that would produce result, saying that it had happened in other climes.